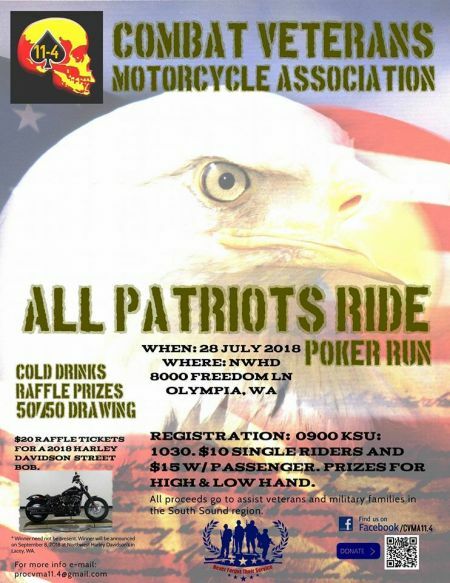 Join us for the Annual All Patriots Ride Poker Run hosted by Combat Veterans Motorcycle Association. All proceeds go to assist veterans and their families in the South Sound Region. Prizes for high & low hands!